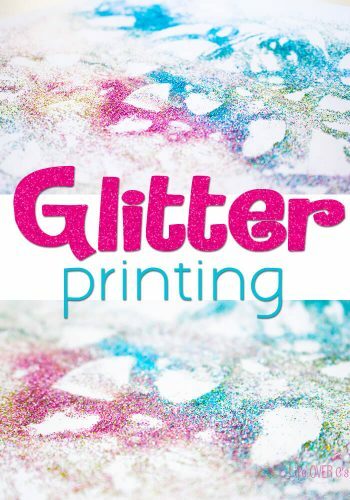 I cannot be the only person in this world that is more terrified of paint than I am of glitter…lol! I require the kids to put down a shower curtain under their workspace, but I’m still so scared that those paint brushes are going to find the wrong surface to decorate. 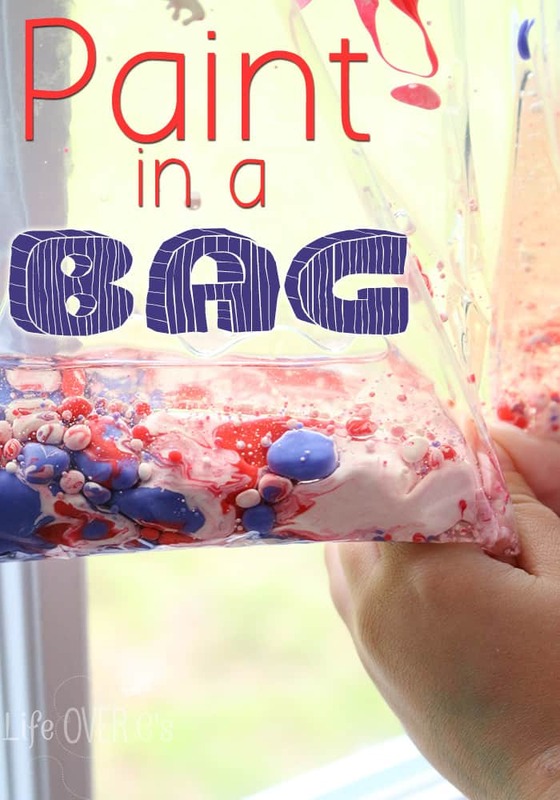 Mess-free paint in a bag is a perfect alternative for those days when I can’t take the kids outside away from my precious walls. Especially since, just last night, Shiloh was begging me to hang a drawing on the wall, so that she could continue drawing on it… I did not comply…lol! Pour about 1/4cup of oil into the bag and spread it around a bit on a flat surface. 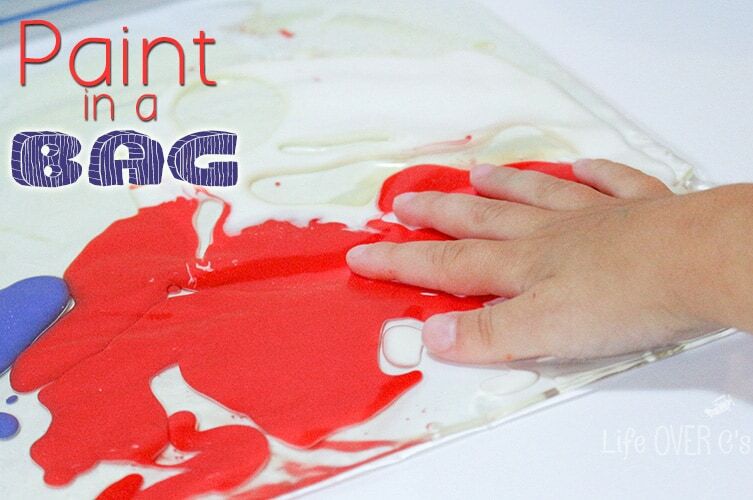 Carefully squeeze the paint into the center of the oil. Making sure that oil is on all sides of the paint. 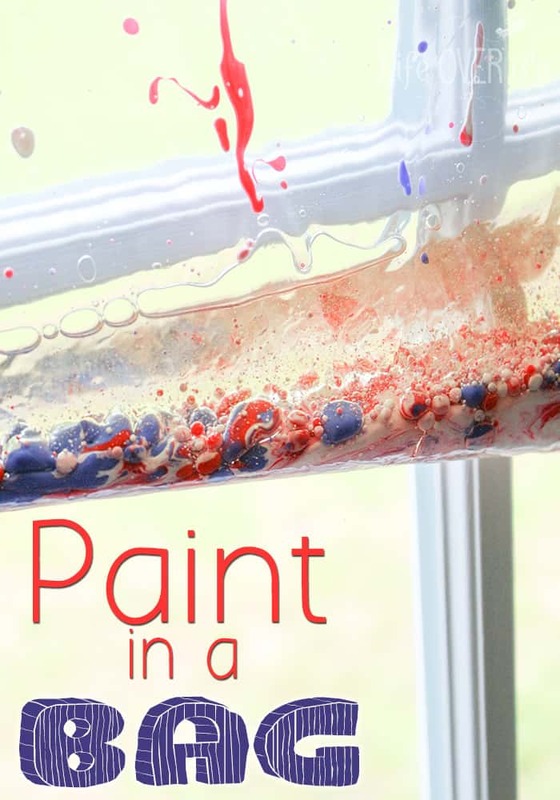 To add additional colors squeeze the paint onto separate sections of the oil. The important thing is to keep the paint separated while adding otherwise the colors will immediately blend together. Then, allow your kids to explore! Shiloh liked pressing on the sides of the bag at first while it was sitting on the table. Then she started mashing it between her fingers. 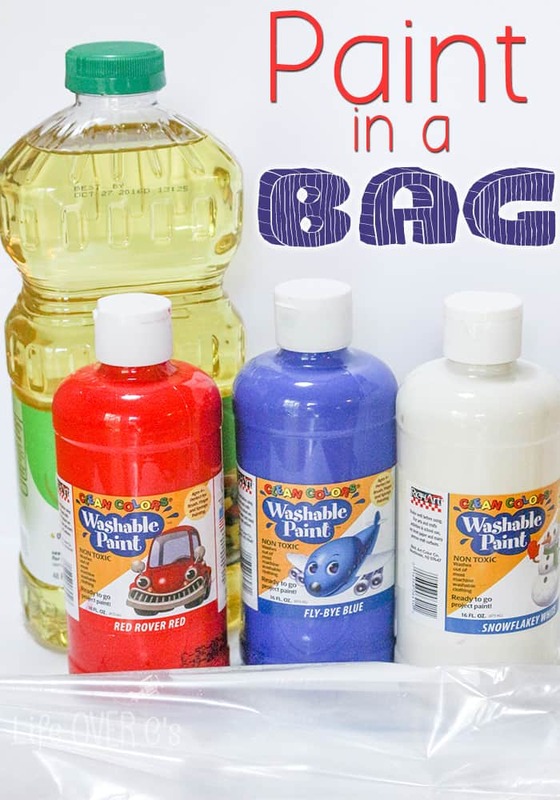 After a while of that we noticed that little “beads” of paint were forming in the bag. We decided it would be really cool to see what effect the light from the window would cause, so big sister held it in the window for her. 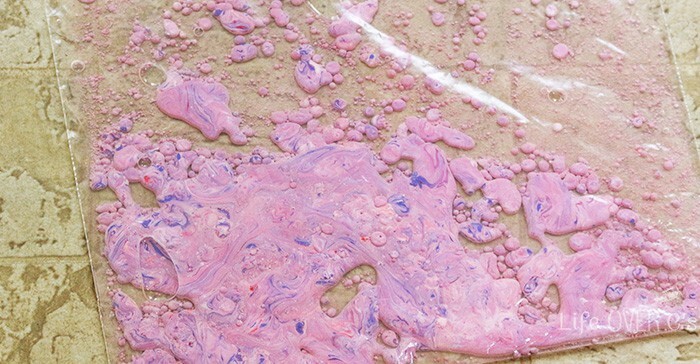 She wanted to mash some more which resulted in the paints eventually getting mixed together. This would be a good opportunity to discuss color blending. I love this activity because it’s super quick prep and a good distraction when it’s too hot or too rainy to go outside. What about you? Are terrified of paint messes like me? I love this! 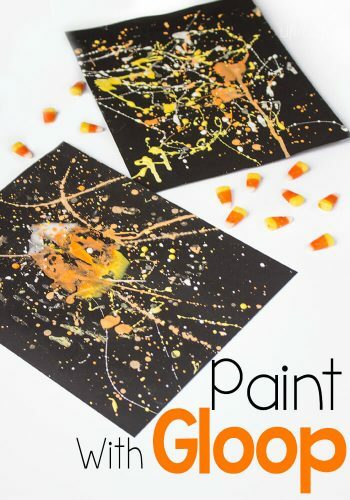 I am always looking for ways for painting to be more mess free for my youngest. He’s at that age where when he’s done with something he tosses it and with painted projects going on the carpet, we’ve been avoiding this activity!